It’s back, partner…. Cowboys vs Zombies! 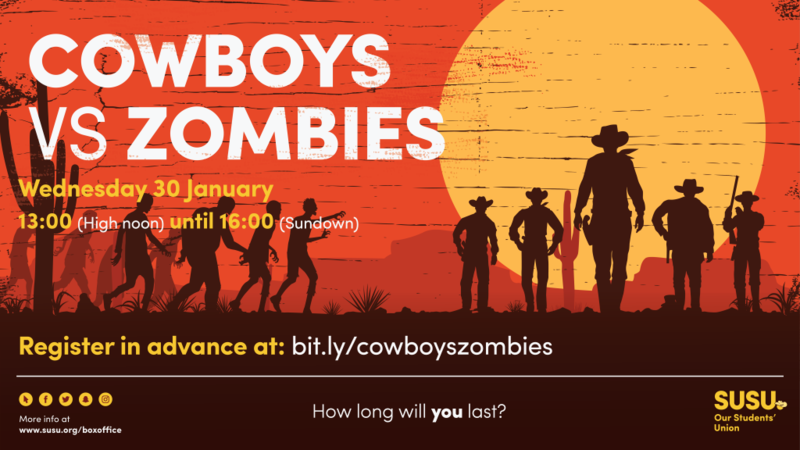 Can you survive from High Noon to Sundown against a zombie takeover on campus? The situation will be even more intense with the addition of famous Cowboy outlaws as another enemy to battle. This Refreshers’ we are bringing Bunfight straight to you, with three events at Avenue, Boldrewood and Highfield campuses! Get to know some of our amazing sports clubs and societies and sign up for the ones which you’d love to be part of. 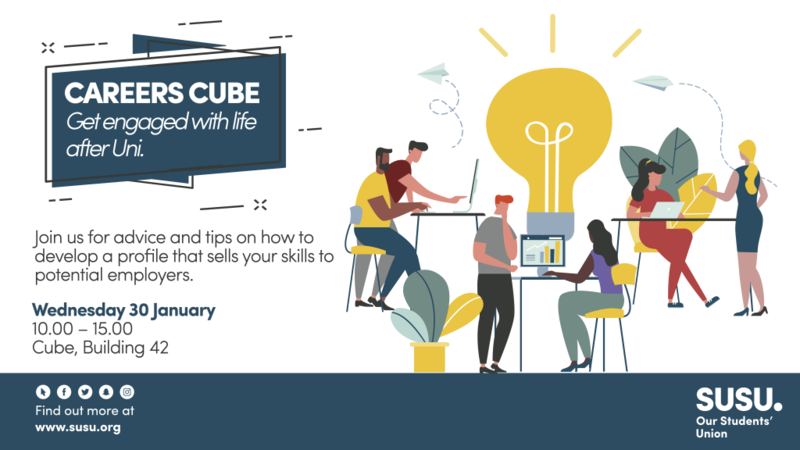 Brought to you by our VP Engagement, Fleur Elizabeth Walsh, Careers Cube is your one stop shop for engaging with life after university. Speak to recruiters, put together your online profile, and get involved in fantastic volunteer opportunities and recognition schemes! No appointment necessary for the overall fayre, just pop in throughout the day. Refreshers Fayre – grab some student freebies! Missed Freshers Fayre in September? Want to grab even more freebies? Good news – refreshers fayre will be full of freebies, student discounts, games, prizes and offers for you lucky students! Join us for a night of live singing, music, performances, comedy and more! Event held in aid of the Union’s charitable activities.